The results are in! I love the input I received for the Healthy Eating Challenge, and I will be kicking it off next week! Based on the answers I received I decided there will be a new challenge every 2 weeks. I am ready to go back to eating better, and I’m really excited to have people join me or even just follow along! 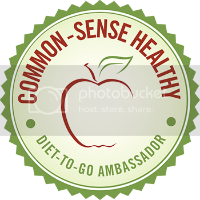 I will start the challenge next week, but in the meantime, I have created a Healthy Eating Challenge Support Group on Facebook, and I hope you’ll join us! For the Healthy Eating Challenge the ultimate goal is to clean up how we eat by eliminating common “unhealthy” ingredients in the foods we eat like additives, preservatives, and other artificial ingredients until we are eating a healthy diet of natural, whole foods. We’re going to take it step-by-step by eliminating one culprit at a time. What is our goal? Well, that’s up to you! People participating in the healthy eating challenge may have better goals, but it will be ideal for a variety of goals, and we can still offer support along the way. You may be looking to lose weight, improve your overall health, have more energy, etc., we’ll support each other along the way! Following the Healthy Eating Challenge, after we’ve eliminated all the “bad stuff,” I’m going to continue into another challenge for going gluten-free! You don’t have to participate in the gluten-free challenge, and you can feel free to pick and choose which challenges from the Healthy Eating Challenge you’d like to implement. Of course, I’d like to encourage you to do all, but I’m offering a no pressure, supportive environment. So feel free to join us on Facebook and stay tuned for the first challenge next week! Starting next Wednesday, I will introduce the Wellness Wednesday Link Up! I will share a new health and/or fitness related post including my progress toward my own health goals. I originally was going to call it “Weigh In Wednesday,” but I didn’t want it to sound too literal. There will be a link up where you can link up any health and/or fitness related post! I didn’t want people to feel like it had to be weight related, though I may be sharing my own progress as I have a goal to lose weight. Each week I will choose a few posts from the previous week to highlight and will be welcoming any interested Co-Hosts as well. The picture above will have a code available so you can add it to your post and let others know about the Wellness Wednesdays Link Ups, but there will be no requirements. Lots of fun stuff, right? I hope you’ll be joining, and if you write about health and/or fitness, I hope you will join us for the link up as well! Very interesting, I have been dieting for about a year and have been pretty successful to date. 65 lbs down, off insulin and feeling pretty good. I have tried to eliminate some of the bad things in my diet, although we have been eating healthier for a while now. I find that portion control is key. I also count calories, I know that is isn’t for everyone but I use a program online, and it has helped me stay on track. I also go to the Y, now that it is warmer out hubby, and I go walking at least four times a week. Good luck on your challenge!! That is fantastic! Thanks for sharing! I agree – portion control is so important! This is great! Everyone needs motivation to eat well. Thank you for sharing!